After all these years living in regular New York (i.e. Manhattan, what else?) 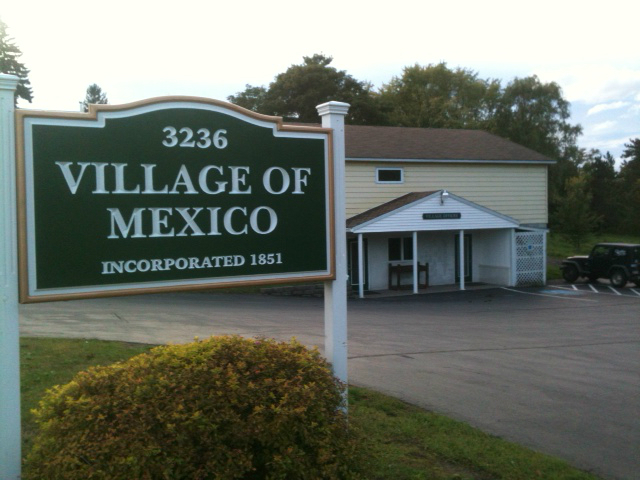 I just learned there is a town called Mexico, located in the northeast part of Oswego County, New York. 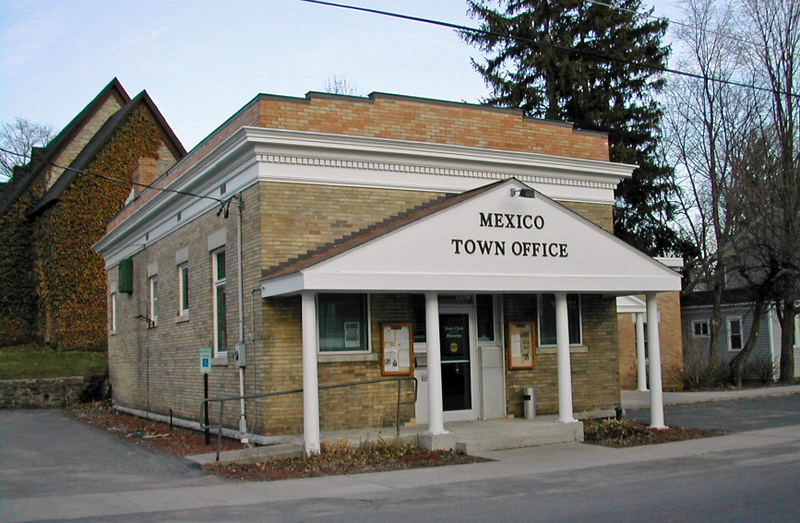 According to the always-reliable Wikipedia, the Town of Mexico has a population of 5,197 and contains a village also named Mexico. What’s more, there’s a Mexico High School (once called Mexico Academy,) a Mexico Middle School and even a Mexico Elementary School. That might be so, but before making such a radical move, this blogger will be embarking on a serious investigation of Mexico’s taco-situation, which will ultimately make or break the deal. This entry was posted in Awkard homages, Latin America, Mexico, New York City, Why I Love Mexico and tagged Mexico, Mexico Town, New York, NY, Upstate New York, Village of Mexico. Bookmark the permalink. OK I have to quibble with your “Manhattan, what else?” side-sneer. I lived in Manhattan twice. As a grown-up, with a good job, dating lovely sophisticated women with graduate degrees, going out to the suitably noir-ish post-apocalyptic holes in the wall on Avenues B and C, thinking we were sumthin’ else. It was pretty okay. But I lived in Brooklyn for three years when I was younger and tougher and could go toe-to-toe with young black whippets at the top of the key or out on the wing on a fast break……and ya know what? Brooklyn is one helluva town. Maybe I like the me that lived in Brooklyn better than the me who lived in Manhattan, but I kinda like the Brooklyn I lived in better than the Manhattan I lived in. Particularly when I hold it up to the light of the Mexico I live in now. What else? Brooklyn, Mamacita, Brooklyn. One helluva town. And I’ll guarantee you they have better tacos than whatever you’re seeing for $17.99 in Chelsea. Brooklyn? Are you kidding me? No one can afford Brooklyn! (I’m in the “Mexican” part of Manhattan so still cheap tacos) ¡Ajúa! LOL Yes you should check taco-situation. it is one of the most important things! Greetings!